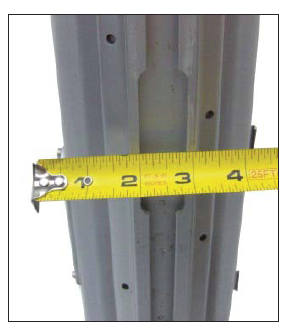 Tides prefers to maximize the width of the track shape that enters the luff groove, whether the luff groove has an internal flat shape or internal round shape. If Tides can maximize the amount of UHMW material that goes into the luff groove, the track will perform better when the slides/sail begin to load the track assembly during vessel operation. 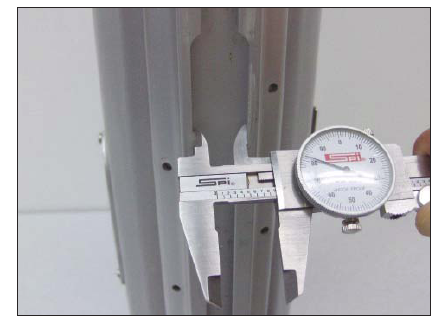 Measure the internal width of your luff groove at the mast gate using a tape measure / caliper / etc. In most cases, you can get a fairly accurate measurement of this space by simply measuring the width of the mast gate. It also corresponds roughly to your current slide width. One of these measurements should be satisfactory. See photos and table below.